Just a quick shot I took on the way home from the store; it was getting dark and I pulled over to roll down the window to try and get a quick photo. 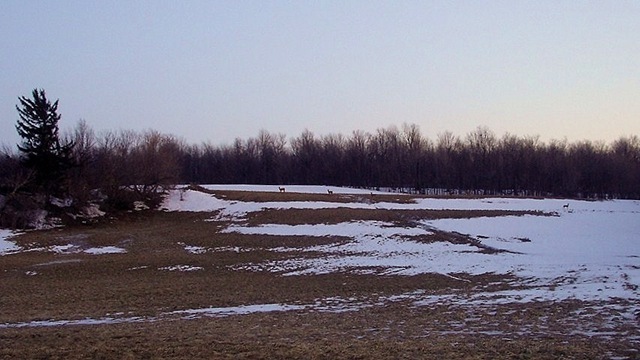 Even though the deer look far away, I found the photo to look very peaceful. It is peaceful, I like it! It\’s a great photo Rhonda! Lovely and I think it looks peaceful too.